Proud grandmother walks her granddaughter down the aisle. It’s a wedding tradition that the father walks his daughter down the aisle on her wedding day. However, I see many weddings where the mother or brother walks the bride during her processional. Sometimes the bride chooses to walk by herself down the aisle. 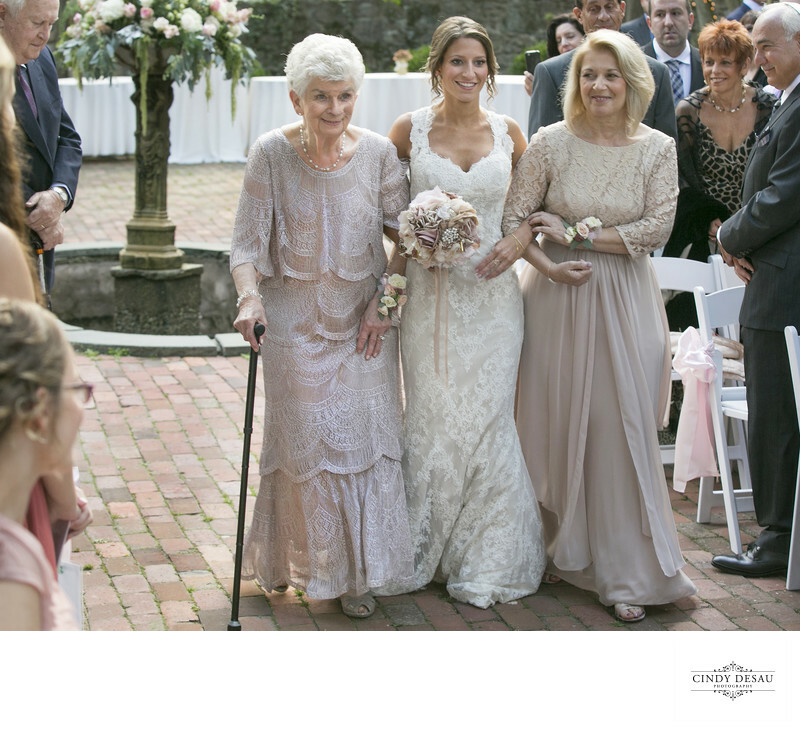 In this wedding day scenario, this bride was walked by both her mother and grandmother. Look at the incredible expression on this grandmother’s face. I think this photo says it all for how much it means for this grandmother to be a large part of her granddaughter’s wedding day. I know this bride will forever cherish this photo, and it means a lot to me that I can give her this.